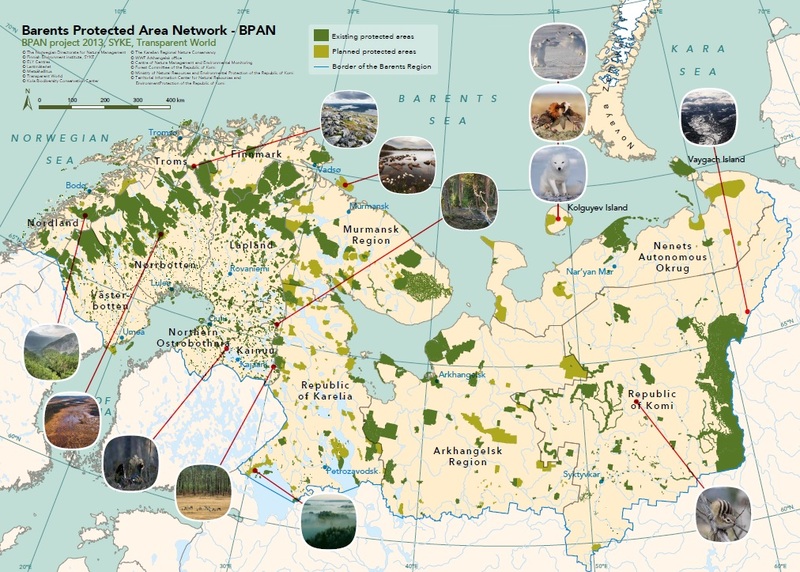 The BPAN biodiversity pilot project in Nenets Autonomous Okrug (NAO), Russia, has produced new information about the state of the Nizhnepechorsky protected area. The tasks were to assess current status of the environment, forecast changes caused by natural and anthropogenic factors and make recommendations to reduce negative impacts on the ecosystem of the reserve. 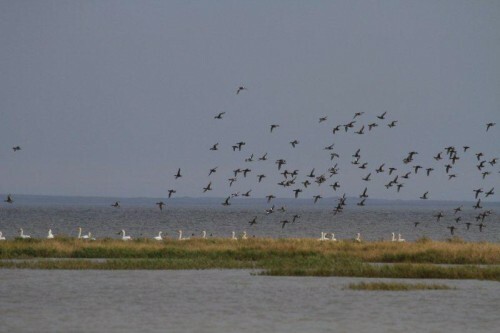 According to conclusions of the environmental monitoring, ecosystems in the nature reserve as well as the whole delta of the Pechora River are threatened by poaching, building activities, commercial fishery and mining. As stated by experts, without measures to reduce the negative impacts, the role of the reserve in biodiversity conservation, including its significant value as bird area, may be lost. 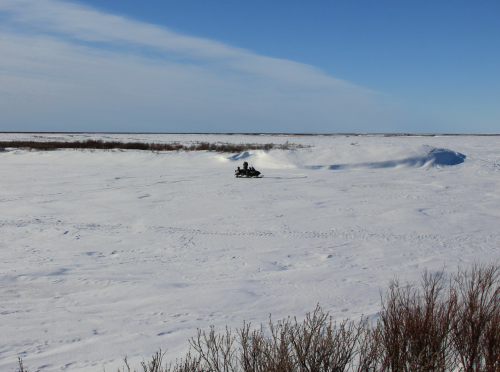 In the pilot project studies, a special emphasis was put on examining the state of soil, vegetation and wildlife. 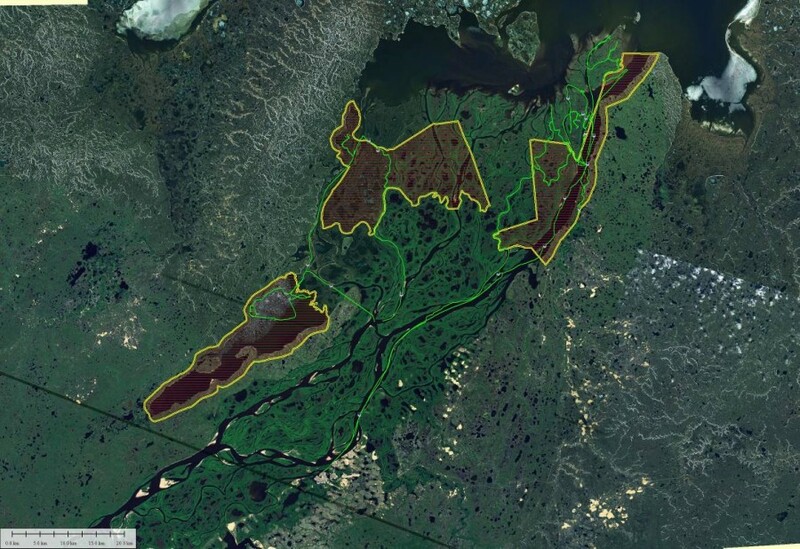 Taking into account that the ecosystem of the nature reserve is inextricably connected to the whole delta of the Pechora River, the monitoring was carried out also in the territories adjacent to the protected area. The Nizhnepechorsky protected area consists of three parts (yellow). Bird monitoring was carried out in September 2012. The routes (green) covered areas inside and outside the protected area. 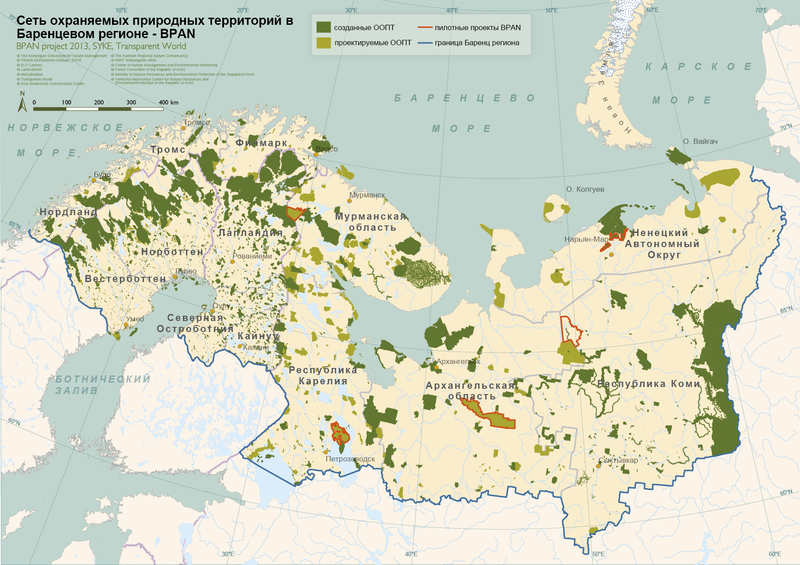 The results of geobotanical studies indicated that activities of local population, such us reindeer herding, are not significantly affecting the vegetation, and additional measures to protect flora are not required. 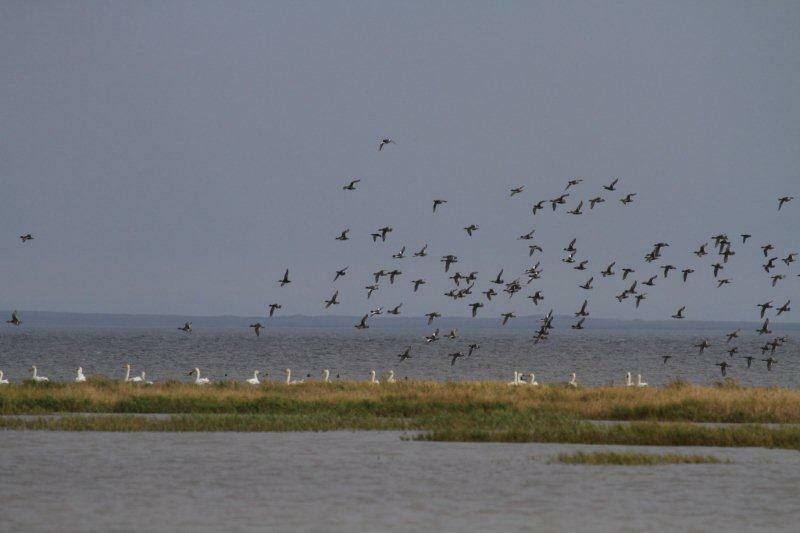 Bird monitoring in the reserve and the neighboring areas confirmed that the Pechora delta is important for waterfowl not only during the nesting season, but also during moult and seasonal migrations. The territory is a valuable feeding area and a place of concentration of various bird species during the spring and autumn migrations, including the rare red-listed species such as Bewick’s swan, white-tailed eagle and peregrine falcon, to mention few. Thus, the territory is internationally important in conservation of diversity of bird species. The pilot project was conducted by NAO sub-department of the Russian Agricultural Academy of Institute of Geography RAS as well as the Centre of Nature Management and Environmental Monitoring of Arkhangelsk Region. 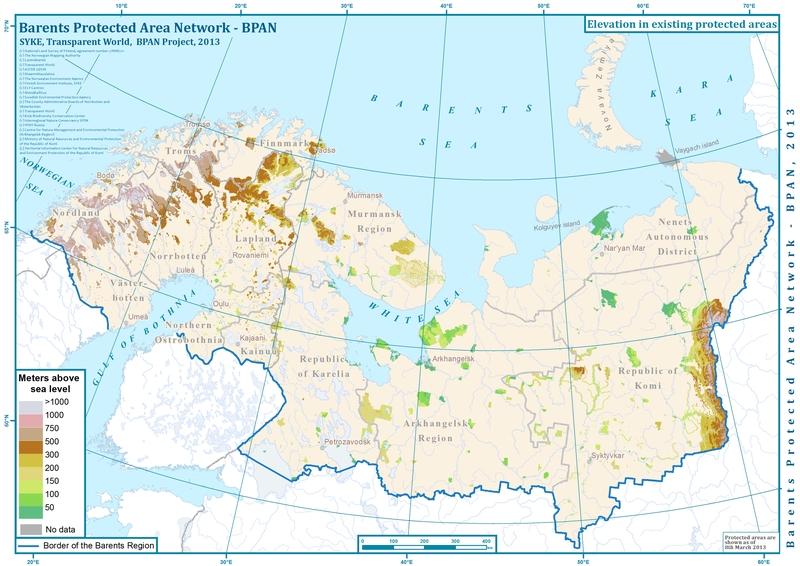 BPAN pilot projects are implemented in threatened, high conservation value areas of Northwest Russia. 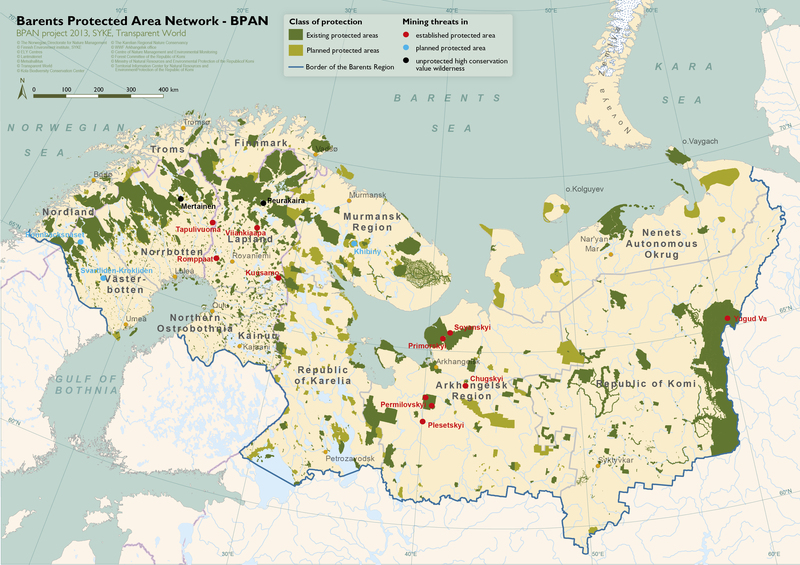 The implementation of the pilot projects supports the overall objective of the BPAN project – the establishment of a representative network of protected areas in the Barents Region.